David Moyes is unlikely to stay at West Ham United next season - whether or not the club stay in the Premier League. West Ham's 3-1 defeat against Brighton on Saturday put them back in relegation danger and meant the club have not won any of their past three Premier League games. During their poor run, they were also dumped out of the FA Cup by League One side Wigan Athletic. 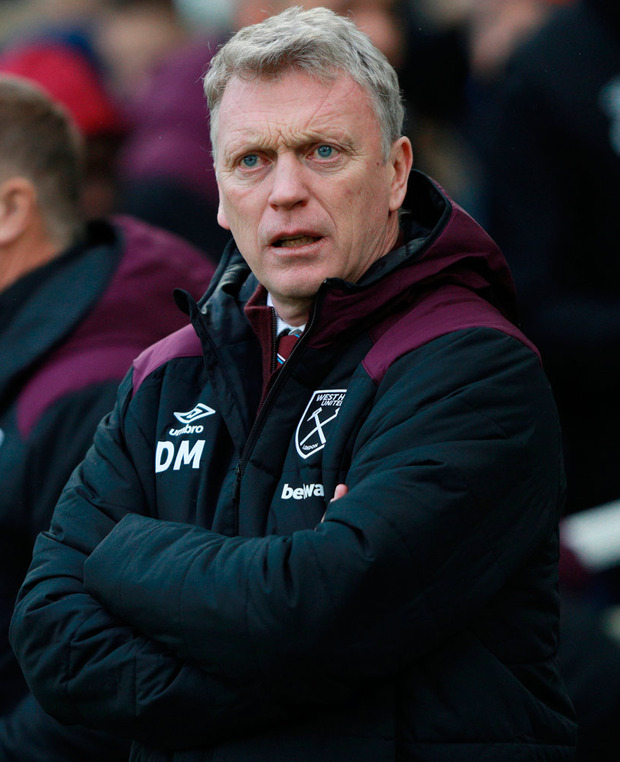 Despite the fact Moyes dragged West Ham away from the bottom three after succeeding Slaven Bilic on a six-month contract in November, the club are already believed to be searching for a new permanent manager. Rafa Benitez remains a possible target, with his Newcastle United future seemingly dependent on whether Amanda Staveley's takeover bid is successful, while Huddersfield Town's David Wagner is liked by the club. The fact Marco Silva is now out of work and would not cost anything in compensation to appoint would be interesting to them. There have been tensions behind the scenes regarding West Ham's transfer policy, with Moyes failing to land a number of targets last month. Although West Ham signed striker Jordan Hugill from Preston North End, they missed out on another forward, Islam Slimani, and midfielder Ibrahim Amadou, and Moyes now looks short of players after being further hit by injuries. West Ham also made a failed bid for Anderlecht's Leander Dendoncker and could move again for him in the summer, even though Belgian sources claim Moyes is not particularly keen on the midfielder. Moyes has already made it clear that he will assess his options at the end of the season and is not planning talks about his or the club's long-term plans before then. Should he keep West Ham in the Premier League, Moyes may well have options elsewhere and if he does not then he is fully aware there is little chance of the club keeping him on. Other than having to face questions over Henry's departure last week, Moyes has also seen co-owner David Sullivan give an interview in which he revealed his son had told him not to sign Jose Fonte last year and vice-chair Karren Brady criticise in her newspaper column the signing of Robert Snodgrass, who it later emerged Moyes had been interested in recalling from his loan at Aston Villa.